Alberta Economic Development and Trade Minister Deron Bilous says Saskatchewan has until midnight to drop its licence plate ban. Otherwise, Alberta will take the matter to court. Saskatchewan has now extended its Alberta licence-plate ban to all work sites in the province, Alberta's economic development and trade minister says. The original ban, which was announced last week, only applied to new road projects. "As of today, no Alberta plates," Deron Bilous said. The Saskatchewan government announced the original ban on Dec. 6. Highways Minister Dave Marit claimed Saskatchewan workers were being forced to register their vehicles in order to work in Alberta. That prompted Bilous to give Saskatchewan Premier Brad Wall's government a week to end the measure. 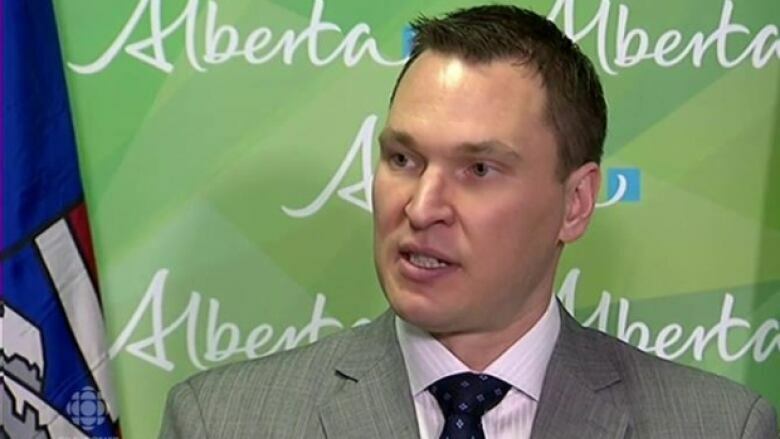 Bilous threatened that Alberta would take Saskatchewan to court if it did not lift the ban. "It's non trade-compliant," Bilous said Wednesday. "They have until midnight tonight to smarten up, come to their senses and walk this back." Bilous and Transportation Minister Brian Mason spoke to their Saskatchewan counterparts for the first time on Tuesday. He said Marit and Saskatchewan Innovation and Trade Minister Steven Bonk weren't able to supply any concrete examples of Alberta contractors forcing Saskatchewan workers to register their vehicles in Alberta. Bilous said last week that Saskatchewan didn't call Alberta before or after announcing the ban.